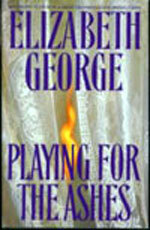 adapted as "Playing for the Ashes"
Synopsis: When country milkman Martin Snell makes his usual delivery to fifteenth-century Celandine Cottage one fine spring morning in Kent, he expects to be greeted by the cottage's sensual and seductive tenant, Gabriella Patten, not by the ugly remains of a fire pointing to murder. 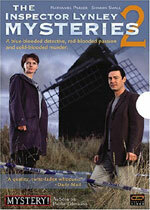 A burnt-out chair, a peculiar pattern of smoke on the walls, an asphyxiated corpse, two footprints, and a collection of discarded cigarette butts bring Detective Inspector Thomas Lynley and his partner Detective Sergeant Barbara Havers out of their London territory and into conflict with the local investigator who first saw the subtle signs of arson and whose turf they are invading. Treading carefully, they begin investigating the ripples of shock spreading outward from the crime: from Gabriella Patten's husband, who knows of his wife's faithlessness and declares himself completely indifferent, to the estranged wife of a member of the national cricket team whose hopes for a reconciliation with her husband have been permanently smashed; from a former lover of Gabriella who has sworn her off to save his marriage, to an angry teenage boy whose holiday with his father was canceled at the crook of a mistress's finger; from a wealthy older widow whose influence has allowed a much younger man to live his dream of playing cricket, to a former prostitute faced with a devastating choice in the wake of a murder whose victim she claims she has never met and yet whose presence has long shadowed her life. As all of England, as well as the magnetic world of national cricket, soon discovers itself reeling from the shock of this particular crime, Lynley and Havers find themselves working on the most frustrating -- and the most dangerously political -- case of their careers. When in an act of desperation Lynley breaks department rules to flush out the killer, he risks being pulled from the case and jeopardizes his career with New Scotland Yard. This DVD set includes Playing for the Ashes, In the Presence of the Enemy, A Suitable Vengeance, and Deception on His Mind.